Heavy-duty beakers specifically designed to offer the best mechanical strength under harsh conditions, such as mechanized washing operations. 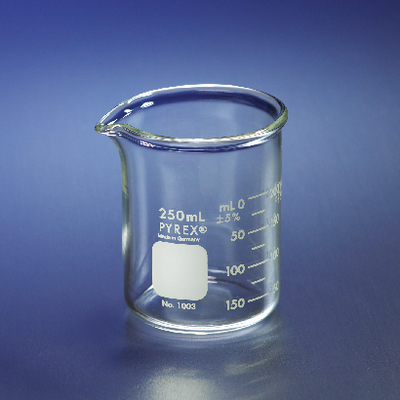 Sizes 250mL and larger have a double graduated metric scale to indicate approximate content. All sizes have an extra-large marking spot. These beakers are made of borosilicate glass.